"Anger begins with madness and ends with regret"
As we know, anger often leads us to do or say things we wouldn't in a normal situation and this can lead to irreparable damage. 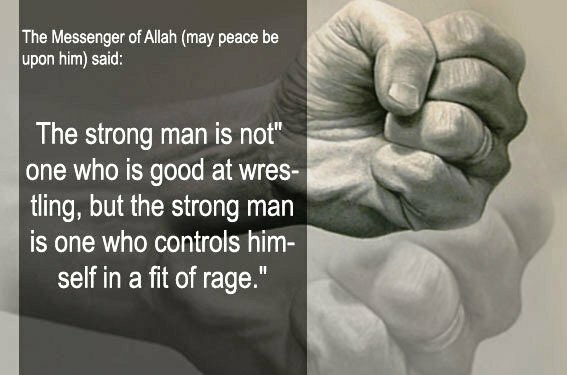 As Muslims we know that anger is a deception of Shaytan (Satan) and is used by him and his allies to lead mankind astray. Islam teaches us certain things that we can do in order to successfully control our anger and keep the devil at bay. I have been reading about the steps we can take in order to conquer anger and decided to do a post condensing them into a short, readable guide. All information is from either the Quran or reliable ahadith. "Audhu bilAllah min shur ash shaydhaan al rajeem" (I seek refuge in Allah from the outcast Satan). This is what the Prophet (S) used to advise. If you are standing, sit down (preferably on the ground, but this is obviously not always possible). The Messenger of Allah (S) said: "If any of you becomes angry and he is standing, let him sit down so his anger will go away; if it does not go away, let him lie down." It is counter-productive. It may be difficult to hold your tongue but remember that you cannot take back a word once it has been spoken. 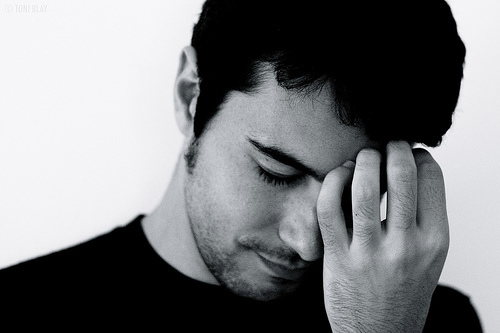 The Prophet (S) said: "If any of you becomes angry, let him keep silent." ...that whatever happened is because Allah (SWT) allowed for it to happen. He knows best and as He has said in the Quran, you may hate something that is good for you and love something that is harmful to you. Imran: I don't know anything about him other than that he narrated about 2 hadiths including this one. Sorry! That was a great post. I do have an anger management problem and I'm trying to control it specially since I have a child. Islam does have the solution to everything! beingFab: Aw I'm glad you like the post! Good luck with it, I hope it goes well. Very good post!! <3 I love it . I have a very short temper that I need to control! "Kenza Drider, 32, announces her candidacy for France's 2012 Presidential election on September 22, 2011 in Meaux, France. Drider is the first French Muslim woman to wear a niqab and run for President despite France's nationwide ban on the face veil, which today saw 32-year-old mother of three Hind Ahmas and Najate Nait Ali both being fined after being caught wearing the niqab in public in the Parsisan district of Meaux back in May when the law first came into force. " Imran: Yes, I can really see her winning that..
JazzakAllahu kheiran .. really great post. It's very important to read & do what you wrote. Salamualaikum sis! Beautiful reminder! Do you mind if i borrow this post? of course giving full credit to you! I'm going to do a series of posts on positive outlooks and keeping negativity away from all aspects and this fits perfect! Iman: Go right on ahead, you don't need to link back if you don't want to. By the way, I literally LOVE your blog. It's going to be my new fave on my reading list lol.